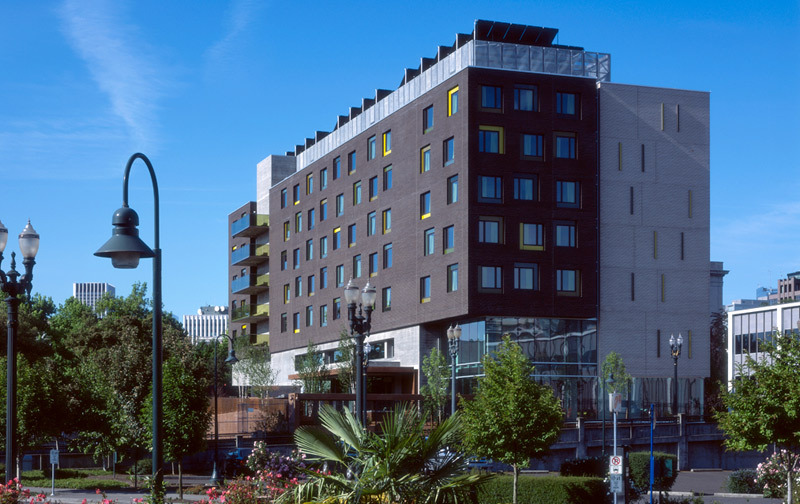 130 studio homes that serve residents who have been experiencing homelessness. The Apartments at Bud Clark Commons offer 130 studio homes that serve residents who have been experiencing homelessness. Nine of the apartments have physical accommodations for accessibility. Part of an innovative center that serves persons who are homeless, the community is located at the western foot of the Broadway Bridge, near mass transit and services. 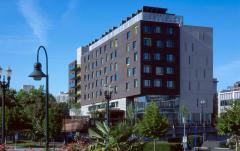 The Apartments at Bud Clark Commons provide homes for persons who have been experiencing homelessness. The studios have full kitchens and baths, as well as storage areas that accommodate bicycles. A community room with television, free internet access, laundry facilities, and spacious balconies off each floor are available for residents. The controlled access building has a 24-hour desk and resident services staff on site. Applicants must be homeless and have an annual income that does not exceed 35% of area median income for their family size and meet the requirements of the subsidized housing program. Priority is given to applicants who are referred by community health clinics.